18. 04. 2019: New bows are in stock with new Laminated technology, faster than an average Laminated bow and more stable than a TRH bow: Nomad L1 Assyrian, Nomad L2 Tartar, Nomad L4 Hungarian, Nomad L7 Turkish short, Laminated Manchurian; Biocomposite bows are also available. The Biocomposite Laminated bow is not the same like the Extra III. Horn bow ! New laminated bows! They combine the the TRH ans laminated technology. Heathstable and not twisting. In appearance looks similar to sinew and horn but made from modern materials. The new laminated bows are not made from the usual E-fiberglass, but from a more durable and more flexible fiber material. The appearance is made very unique. We are looking for archers to set up a long distance shot record, who is well prepared and can handle strong bows. We can offer the right arrows for the Biocomposite bows! Our online store is working, please ignore if it sends some warning messages, please continue your order! The middle layer is wood or bamboo layer. The inner "horn layer" is XR glass fiber or basalt fiber, the outer layer "sinew layer" is S fiberglass. The two layers inside are made from two different 0,6 mm thick layers. From this special structure comes the speed of the new laminated bows and that these are not twisting. The layers are colored, similar like the horn. The structure is similar like the simple new lamininated bows, but there is a reddish brown synthetic layer on the inner "horn" side. On the outer side there is a synthetic sinew layer, or any kind of glassfiber layer. 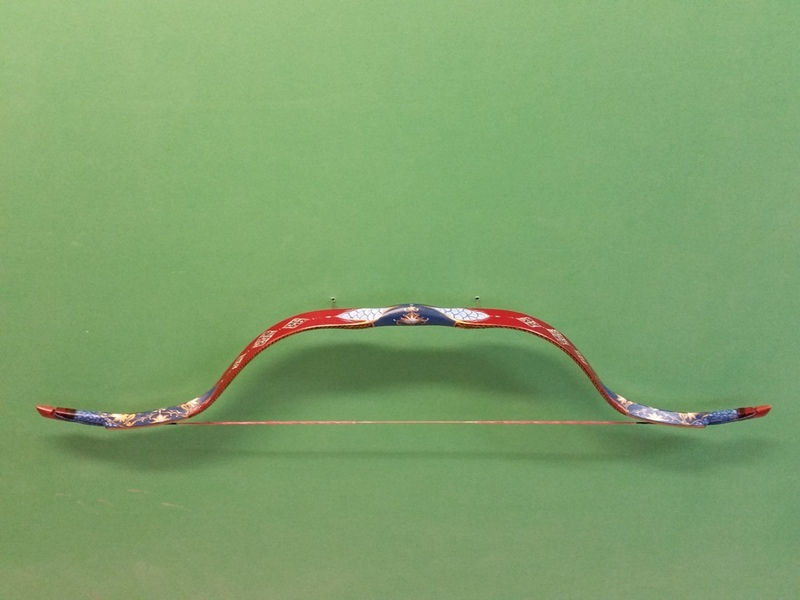 These bows are soft and fast bows, and not twisting in high temperature. And to some extent the extra III bows as well. The bows made by this technology consist of the following materials: the middle layers of wood, the inner layer of pressed horn pieces and biopolimer, while the outer layer of pressed sinew plate. These two layers are glued to the wooden plate by synthetic glue and the glued layer gets a modern fibre strengthening. Due to these biocomposite materials and the modern technology these bows are faster then the simple laminated bows. They are appreciably soft and without any resonance when shooting.